Invescos second annual Invesco Global Sovereign Asset Management Study reveals where big public funds put their money. Alternative investments continue to be winners of new global sovereign allocations, as do emerging markets — despite a fundamental preference for developed markets — according to a new study released Tuesday. Invesco’s second annual Invesco Global Sovereign Asset Management Study examined the investment behavior of sovereign investors across the globe. The study was conducted among 52 individual sovereign investors, representing $5.7 trillion of assets, including standalone sovereign wealth funds, state pension funds, and central banks and government ministries. Alternative investments remain the clear asset class winners in terms of new asset allocation within sovereign investor portfolios, mirroring the trend reported in the 2013 study. On a net respondent view basis, 51% of sovereign investors increased new exposure to real estate in 2013 and 29% to private equity, relative to the total portfolio. In fact, sovereign investors expected to increase new allocations across all major alternative asset classes in 2014: real estate, private equity, infrastructure, hedge funds and commodities. Invesco said the findings suggested that this continued appetite for alternatives was a structural trend driven by the influence of allocating assets strategically, rather than a short-term shift owing to tactical allocations to boost short-term returns. The study found three reasons for this. First, many sovereign investors remain underweight in alternatives relative to their strategic asset allocation targets. These sovereign investors had increased their target allocations for alternatives in the last five years and had yet to reach these targets. Second, 46% of sovereign investors expected funding levels to increase in 2014 relative to 2013. A large increase in assets encourages more strategic allocation placements since allocating significant assets tactically could lead to breaching internal guidelines, Invesco said. The third reason that increasing appetite for alternatives should be attributed to strategic rather than tactical asset allocation is that alternatives underperformed during this period, with sovereign investors typically citing an average return of 7% for alternatives in 2013, compared with a target of 8%. This indicates that increasing their overweight in these asset classes is a long-term, strategic decision, rather than a tactical move, according to the study. Within alternatives, global infrastructure was particularly popular, with 47% of sovereign investors citing an increase in exposure to new global infrastructure in 2013, compared with 22% in 2012. Furthermore, 53% of sovereign investors anticipated increasing allocations in 2014 versus 2013 allocations, as real estate yields continued to fall and global demand, especially for developed-market real estate, continued to grow. The risk-adjusted returns offered through investing in global infrastructure also appeared to be a key driver. 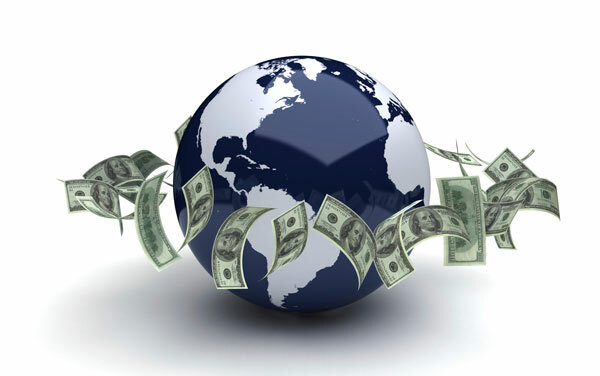 As observed in the 2013 study, the flow of new global sovereign assets continued to reach emerging markets with new allocations to Latin America, Africa, China, India and Emerging Asia all increasing in 2013, and expected to increase again in 2014. As with alternatives, this trend appears to be largely driven by strategic allocation targets, the study found. Sovereign investors said they were underweight in emerging markets relative to their strategic asset allocation targets, giving them more room to increase new exposure to the regions. This long-term structural trend to emerging markets did not appear to have been influenced by the fact that emerging market equities underperformed developed market equities during 2013. Some exceptions existed where tactical asset allocation strategies were at play, such as Central Eastern Europe and Russia. These were the only emerging markets to which weightings declined in 2013 and to which respondents expected exposure to remain flat going forward into 2014, primarily because of political instability. However, while the major trend in geographic allocation was a strategic shift to emerging markets, this took place in the context of a strong historical preference for developed markets, relative to the total portfolio. Many sovereign investors expected to remain underweight in emerging markets on a GDP-weighted basis. Even after excluding home-market allocations from sovereigns based in developed markets, 56% of the average sovereign investor portfolio was in developed markets. In terms of attractiveness to sovereign investors, the perceived average economic performance rating for developed and emerging markets were comparable, but there was significant variation in the overall attractiveness of the economies for sovereign investors, ranging from 4.9 for India to 7.2 for Germany and 7.4 for the U.K. Global sovereign investors’ geographical and asset allocation preferences were also indicative of their current risk appetite and time horizons, as well as bias toward their home market, the study found. In 2012, sovereign investors that increased new asset placements in alternatives typically cited a decrease in equities and global fixed income. Similarly, those increasing new exposure to emerging markets were typically decreasing exposure to developed markets. Yet in 2013, these dynamics changed, and those increasing new allocations to alternatives instead decreased their allocation to home-market fixed income or cash, rather than global fixed income or equities. In fact, home market and global equity allocations increased on a net respondent view basis. An average increase in target returns and lengthening of time horizons can also be observed in the 2014 study, which was consistent with increasing exposure to risk assets like equities, Invesco said. Further, those increasing new assets in emerging markets in 2013 typically cited a decrease in home market allocations rather than in developed markets. Eleven percent of sovereign investors reduced home market allocations in 2013. “Home market allocations usually account for a significant percentage of a sovereign investor portfolio—42% on average across all sovereign investors in 2013—so this globalization is an important change, Tolchard said.